Clever Apes #31: ¿Habla usted simio? Exact statistics are hard to come by, but it is generally accepted that a majority of the world’s population speaks more than one language. In the U.S., census data shows that about 20 percent of people speak a language other than English at home. That number has been steadily growing, but it doesn&apos;t account for all the people who learned a foreign language in school, or for some other purpose. With that in mind, if we want to better understand how the brain works, how it processes sound and language, it might be a good idea to study the brains of bilingual people. In Northwestern’s Bilingualism and Psycholinguistics Laboratory, Dr. Viorica Marian is concerned with doing just that. The lab does research examining the differences of bilingual people in learning and memory from those with a single language. In a paper recently published in Proceedings of the National Academy of Sciences, Dr. Marian’s lab teamed up with the Auditory Neuroscience Lab lead by Dr. Nina Kraus. Graduate student Jen Krizman lead research that uncovered an interesting difference in the way that a bilingual brain processes sound. Researchers have known that bilinguals excel at tasks that test their attention and this recent collaboration has helped explain why. If you are bilingual, you are always going to have both languages active when you are communicating. So you constantly have to inhibit one language as you engage the other one. 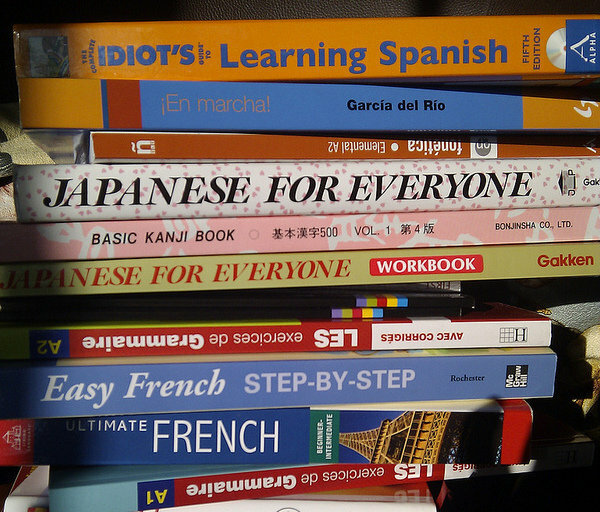 Having this bilingual experience leads to advantages in ability to inhibit irrelevent information. Being able to pay better attention changes the way the brain responds to sound and how you are able to focus on the important features of a sound. Basically, the bilingual brain shapes itself into a more efficient sound processor...C&apos;est incroyable! In this episode, we also talked with Dr. Boaz Keysar. He studies language and decision making at the University of Chicago. In a recent paper, he showed that when people think in their second language, they are less affected by decision biases. In a nutshell, he showed that people make different decisions based on the language they&apos;re using. It is important to note that the subjects in his experiments were different from those in the Northwestern paper. In the Northwestern experiments, the subjects learned their second language early in life. Dr. Keysar&apos;s work dealt with people who learned a second language later. This is important because Keysar&apos;s theory for why thinking in a second language lessens the effect of decision bias like "the framing effect" and "loss aversion" has to do with the emotional distance a second language provides. A native tongue has a stronger connection to the emotional part of the brain than the second language does. Keysar suggests that thinking in a second language is more analytical because it is not as emotionally anchored. So be careful what language you think in...it could literally change your mind. No matter what language you&apos;re thinking in, don’t forget to subscribe to our podcast, follow us on Twitter, and find us on Facebook.